Hair and scalp ampoule treatment – what is it and when to reach for it? The more harmful agents affect the hair – the faster it gets damages. The health and strength of the hair are primarily related to the bulbs. They keep the hair in good condition. The weakening of hair bulbs results in hair loss, slowing down growth, and general weakness and dryness of the strands. The strands begin to break and crumble, the scales on their surface raise and the ends begin to split. The problem of thinning, inhibited growing and losing hair vitality is a struggle that is facing an increasing percentage of women and men. Such symptoms indicate that it is the time to take steps and give your hair intensive treatment to stop hair and bulb damage. This is the reason why ampoules were created. They are a specialised treatment targeted at specific hair and scalp problems. Ampoules contain condensed hair and scalp care ingredients with an intensified action, primarily for the regeneration of the follicles and scalp – the area where hair health begins. Ampules are small vials with a volume of 5 to 15 ml. One vial equals one application. Hair ampoules are to be rubbed into the scalp, and the strands (the entire length). Depending on the company, hair ampoules are packed in sets of 7, 15 or more units. 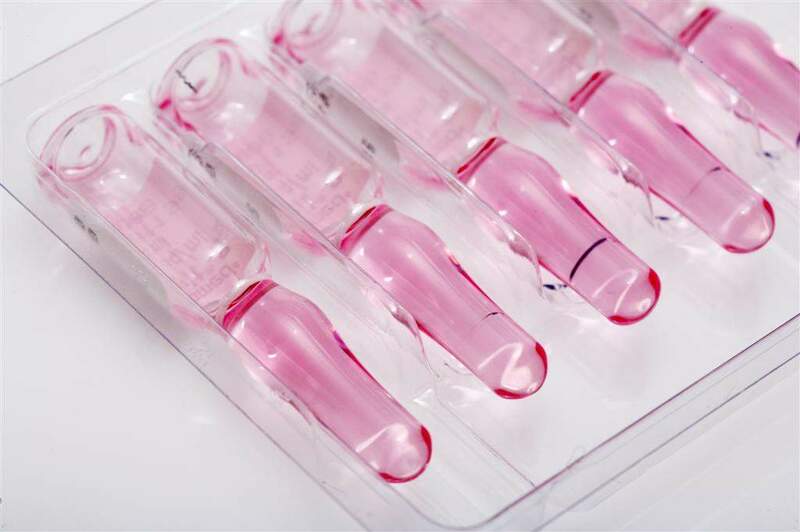 The ampoule treatment should last from 1 to 3 months, so the more vials the manufacturer offers – the better (unfortunately, due to a small number of ampoules, 2-3 more sets are required to complete the treatment). Many women reach for ampoule treatement even when they are not struggling with hair loss, but want to provide strength enhancement for example after winter or summer. Hair ampoules also slow down the ageing process of the hair, and even stop the hair from greying. Therefore, even if your hair does not fall out – it is worth providing it with an in-depth and thorough regenerating treatment.